Incoming NADA Chairman Mark Scarpelli is a second-generation dealer. 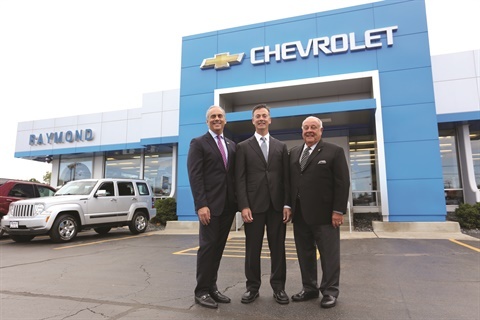 He serves as president of Raymond Chevrolet in Antioch, Ill., and co-owners, with his brother Ray Scarpelli, of Ray Chevrolet and Ray Chrysler Jeep Ram Dodge in nearby Fox Lake. 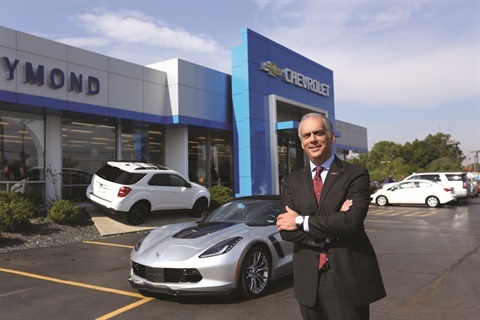 Before joining the family business, Scarpelli attended Northwood University in Midland, Mich., and served as a district manager of sales for General Motors. At the centennial National Automobile Dealers Association (NADA) Convention & Expo, Mark Scarpelli will officially take over as the association’s 2017 chairman. 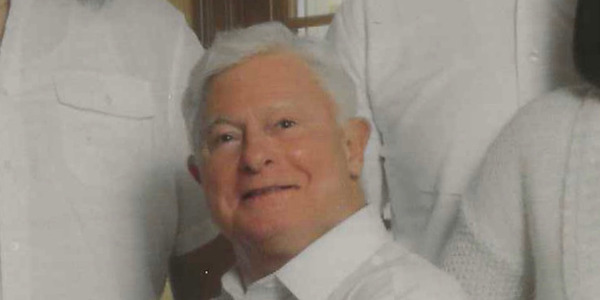 He is the president of Raymond Chevrolet and Raymond Kia in Antioch, Ill., about an hour north of Chicago, and co-owner, with brother Ray Scarpelli Jr., of Ray Chevrolet and Ray Chrysler Jeep Ram Dodge in nearby Fox Lake. Scarpelli’s chairmanship follows a year marked by booming sales and F&I production, a growing call for further digitization of the car-buying process, and new challenges to the Consumer Financial Protection Bureau (CFPB) — including the election of a decidedly pro-business president. 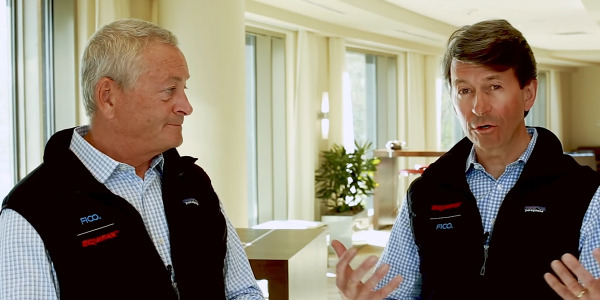 F&I and Showroom caught up with Scarpelli three days after the election to discuss his lifelong dedication to the automotive industry and ask what 2017 has in store. F&I: Mark, it’s been quite a week. How are you feeling? Scarpelli: I’m surprised, just like I think most everybody is, no matter who you voted for. F&I: We should discuss what a Trump administration could mean for the industry, but let me first ask you how you got into the car business. Scarpelli: My entry into the car business is not unlike a lot of automobile dealers today. I am a second-generation dealer. My father, Raymond Scarpelli Sr., and his partner, John Teresi, started the business 57 years ago. F&I: Why do you suppose he chose to name it “Raymond” rather than “Scarpelli”? Scarpelli: People seem to have a knack for not spelling our last name properly. He figured Raymond would be easier. F&I: I can relate. So you’re a Chicagoland native? Scarpelli: I was born in Park Ridge, Ill., and grew up in Norwich, which is near the airport. I think we moved out here to Antioch when I was about six years old. Antioch resides right in the middle between Chicago and Milwaukee, so we advertise to a combined metro area. F&I: Tell us something about that market that most people don’t know. Scarpelli: We recently passed a sales tax change that allows tax to be charged on the lease payment rather than the capitalized cost of the car. Prior to this, leasing came to a grinding halt in Illinois. So our lease penetration has increased over the past couple years. The state average is north of 30% and growing. That’s a unique thing. F&I: Do you mean lessees had to pay the tax upfront? Sounds like a penalty. Scarpelli: Exactly. We worked hand-in-hand with associations to lobby the state. We said, “Listen, you’re going to get the same amount of tax — maybe even more — but month to month.” That decision was extremely shortsighted. It hurt consumers and it hurt them. F&I: How long did the lobbying effort take? Scarpelli: It finally got done two years ago, but that was after five to eight years. Administrations come and go, so you’re dealing with different levels of awareness. F&I: Growing up, did you always plan to work in the family business? Scarpelli: I knew I would eventually, but in my mind, there were a few other things I wanted to do first. I went to college at Northwood University in Midland, Mich. That was and probably still is the Harvard of the automobile business. 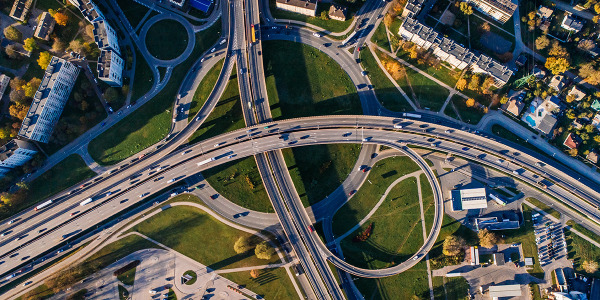 It’s the preeminent place to get real-world training and instructional classes for the automobile business — everything from how to read a financial statement to writing a business plan. After college, before going back to the family, I decided I wanted to work for an OEM. I wanted to see the other side of the equation. I graduated college in 1986 and went to work for General Motors for about two and a half years. I was a district manager of sales, and my district had — honestly, I don’t remember how many dealers. They were spread out from Hartford, Conn., up to Burlington, Vt. So I lived in Framingham, Mass., and I would travel, hold meetings with dealers, allocate cars, make sure the dealers knew our programs, and handle any sales issues. Incidentally, compared to what I did back in the late ’80s, what the field reps do now appears to me to be totally different. They are much more hands-on. They are concerned and helpful with fixed penetrations, profitability, recall condition rates. Most of them are good partners to dealers. Back in those days, we were a little less sophisticated, all of us. We didn’t have the internet. Margins were structured differently. It was just a completely different market, and it’s evolving quickly. F&I: What made you want to get involved at the association level? Scarpelli: My father had always been active in local ad associations as well as the Illinois and Chicago dealer associations. I learned it’s better to be on the playing field than on the sidelines. He led by example. We saw him getting things done. So I came up through the ranks of the Chicago Auto Trade Association and sat on the board of the Better Business Bureau. I was on the CATA board for nine years and served as chairman of that association and as chairman of the Chicago Auto Show. Of course, I have been very active in the NADA as well. F&I: Did you ever think you would be NADA chairman? Scarpelli: Like I said, I want to be on the field. Like many dealers, I have a unique sense for the business. I’m 52 years old, so I’m not the youngest dealer in the world, nor am I the oldest — kind of in the sweet spot, if you will. I have a lot of energy and experience to help our dealers. F&I: What did you learn in your year as vice chair? Scarpelli: I will tell you I knew there would be a lot of meetings and a lot of travel involved. I already feel like I’ve rung that bell and I haven’t really even started yet. But I’ve been involved with the NADA for almost seven years now, and it wasn’t until this year that I truly understood the levels of expertise on our side. From lobbying to training, the personnel and resources are truly amazing. These folks are experts in their own rights. It gives me a sense of calm knowing dealers have the “A” team on the field. If there’s an issue that crops up on the federal level, we have a great team to back us up. F&I: What is the most pressing issue facing auto dealers today? Scarpelli: There are always a few, but one issue is with the CFPB and the way it has attempted to regulate the auto finance market. As long as the bureau tries to eliminate the discounts that make financing affordable, we will try to stop it. F&I: A federal court of appeals recently ruled that the CFPB’s single-director structure is unconstitutional. Do you believe this is good news for the NADA and its members? Scarpelli: We know the bureau was put into existence without any oversight. They do what they feel in their minds is fair and proper. We’re just looking for a little transparency here. You mentioned the change in administration. Trump and his folks have said they’ll do a comprehensive review of every regulation. At the end of the day, the NADA and dealers across America want the rules to be fair for every customer. It’s in everybody’s best interest. F&I: We also know the CFPB has backed down from the debunked claim that dealer-arranged financing costs consumers $26 billion a year. Scarpelli: That figure was thrown out by Sen. Elizabeth Warren, and it was, yes, demonstrably false. The bottom line is that dealer-arranged financing actually saves consumers money. We still have work to do, but we are pleased with the direction things are going. 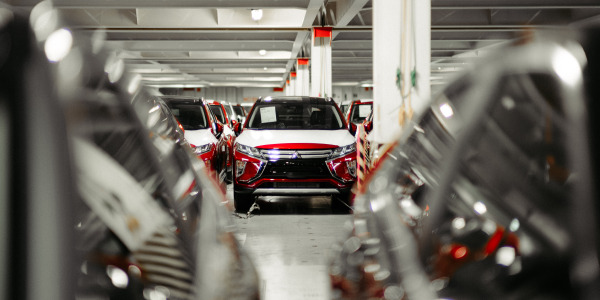 F&I: When the NADA recently announced that it’s sticking with its original 17.7 million-unit sales forecast for 2016, Chief Economist Steven Szakaly said he believed that most of the pent-up demand that has been driving new-vehicle sales since the Great Recession had been satisfied. Do you agree? What is your outlook for 2017? Scarpelli: There are still a lot of pockets that have not been satisfied. You’ve got new drivers coming into the market. You have those buyers who continually trade in their vehicle to get a newer model because they want a safer car with more technology. And then you have a lot of fleet and commercial accounts that held off the expense of upgrading their dump trucks or work vans, even after the economy improved. 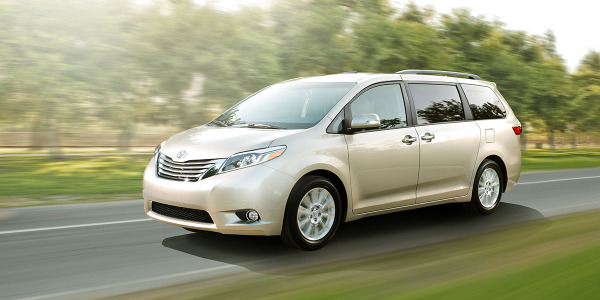 We do a fair amount of fleet and commercial accounts at our stores, and we expect that flow to continue. We are optimistic about the market. And the product is, bar none, the best it’s ever been. 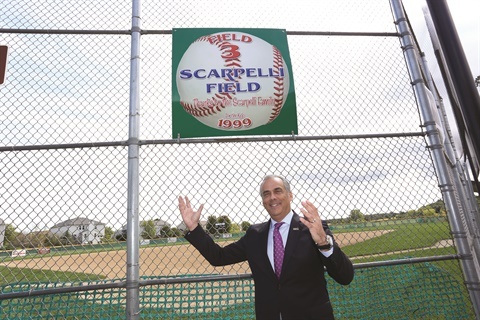 The Scarpelli family donated $75,000 to help build a youth sports facility, which includes a Little League baseball field that carries the family name. F&I: We’ve been seeing some of the highest F&I per-copy averages in the history of the industry. Are you seeing the same trend at your stores? If so, what’s driving it? Scarpelli: We are, and I expect it to continue. The price of automobiles has gravitated up, but incomes are relatively stagnant. For those people who want and need to finance an automobile, the amounts they are financing are pretty big. To your point, the fleet is a little older and people want to make sure their investments are protected. Those ancillary products are on their minds. It’s something they want and desire. It’s the second-biggest purchase in their life. They want to make sure it’s protected. That’s what’s behind it. The other aspect is that credit for consumers during and immediately after the recession was almost nonexistent. It was very difficult to get credit. Today it’s much more accessible. 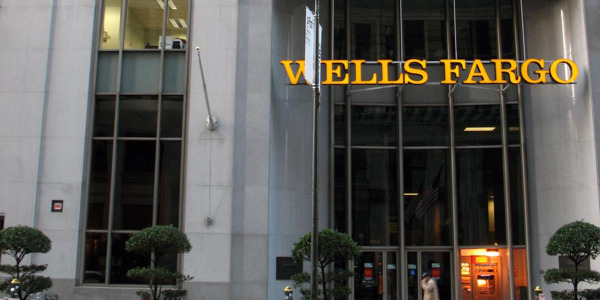 Finance companies and banks are finding more reasons to buy loans. F&I: And delinquencies have held up. Scarpelli: They have. 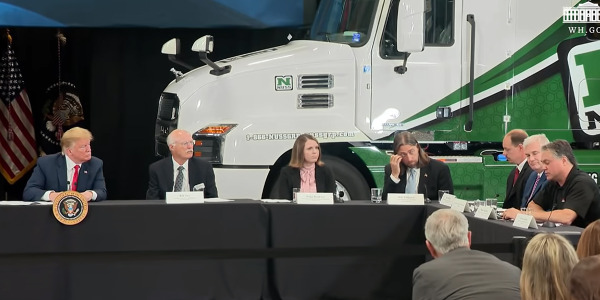 The bottom lines is — and lenders don’t often get this — that consumers have got to get to work, and they’re going to drive their car, so they are going to make those payments. F&I: And you have to believe the high levels of training and professionalism among F&I managers today are driving those product sales. Scarpelli: Absolutely. It couldn’t happen without them. It’s all in the presentation and delivery. You have to make sure all the questions are answered and everything is presented 100% of the time. You have to go through what is covered and what is not covered, how it gets paid, where you go to get repairs done. 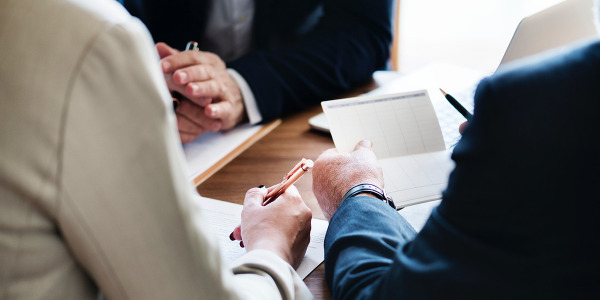 Nine times out of 10, with a good presentation and total disclosure, the customer will understand the need to invest in service contracts and ancillary products. F&I: It’s unfortunate you don’t see more car buyers sharing positive experiences with F&I products online. Scarpelli: That’s the issue auto dealers sometimes run into with online reviews. But the fact is there are many more good actors than bad actors. We do the right thing. We’re in our communities. We support our communities. I am proud to be a car dealer in Antioch, Ill. We hold our heads high. If we make a mistake, we own up to it and we fix it. And I think you’ll find that most automobile dealers around the country will do the same, and they have good reason to. F&I: Based on some of NADA’s recent hires, it appears the association is preparing to respond to the push toward a fully online transaction. Is that accurate, and can you offer any details on what that work will entail at the association level? Scarpelli: I will tell you that bringing Peter Fong onto the NADA team [as senior vice president of dealer operations] has been an asset, and we’re thrilled to have him. But the NADA is not totally pushing for an online transaction. We are committed to providing the best education, and that includes new technology and digital disruptors that have the potential to change the buying experience. We know most of those experiences start on the internet. The speed, the transparency — that’s what we’re talking to dealers about. There are so many tools out there. We want to make the experience seamless. They should get the same information online as in the store, because ultimately, they will be in the store. F&I: Whether as a dealer or NADA chairman, how close do you personally believe we are to a fully online transaction, including the selection of F&I products? Scarpelli: I don’t have a crystal ball, but I can tell you the process is quickly evolving. 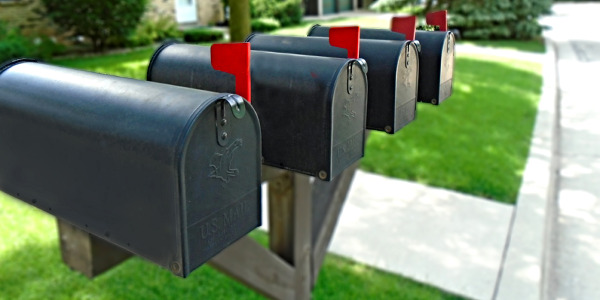 We’ve got consumers that are interested in doing the majority of the transaction online, sending pictures, condition reports, picking out products they might like to have, the payment. But at this point in time, the automobile is still an emotional purchase. It still needs to be test-driven and demonstrated in person. I firmly believe the fulfillment phase of that process will remain in the dealership. Explaining the features and technology is difficult to do by web, and we know that [confusion] is an area of customer dissatisfaction. F&I: Do you have any concerns about digitizing the F&I process and whether that could put the brakes on F&I productivity? Scarpelli: Whether it’s digitized online or they’re sitting with us, everyone has a budget and a level of affordability. We bring to the table the ability to shop not one lender or two lenders, but maybe 10 lenders. There are really two purchases involved: First, buying the car at the price you want; second, looking at interest rates and ancillary products. When you’re shopping online, it’s a feat to put the two together. At the dealership, we do it all right in front of you. That process is happening right now at our stores. F&I: Have you undertaken any initiatives at the Raymond group that you believe other dealers should adopt? Scarpelli: The one that has really, really made a difference is our dedicated “Tech Teams.” These are the folks who are qualified to explain the rolling computer the customer just bought — how to hook up their smartphone to it, how the intuitive key fob and car locator app work. It’s a point of discontent if it’s not delivered properly. In our case, it has made a world of difference in customer likability, affordability and satisfaction. And that Tech Team member remains their liaison throughout the ownership cycle. It’s really been wonderful. Our survey response rate has gone up in a very positive way. And, frankly, it’s going to build value in our dealership and lead to repeat and referral business. F&I: Any other thoughts before we let you go? Scarpelli: I would like to mention that, as a second-generation automobile dealer, I’m truly honored to represent over 16,000 dealers coast to coast, and I encourage dealers across the country to be involved with their local, state and federal representatives. It makes a difference. The NADA is here to help in any way we possibly can, and if I can be of assistance, reach out to me.